The Lakewood Woodline operated south of Kalgoorlie and east of Lake Cowan, with firewood being cut as far south as 25 miles south of the Eyre Highway. This book whilst providing information on the history of the Lakewood Woodline also has numerous personal stories of people who worked and lived on the woodline. These stories provide the reader with reminiscences of various aspects of woodline operations as well as outlining the difficulties and problems that they and their families took in their stride. 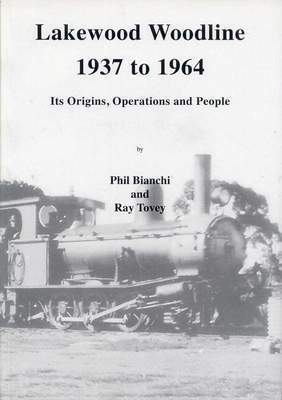 The book is indexed, has over 200 illustrations and is of great goldfields interest.